The Cybex 750T Treadmill has been built with a high quality running deck that is soft on impact, hard in mid-step, and rigid at the toe-off, to ensure that it is in complete synchronisation with your body’s mechanics. The shock dampening system is a sophisticated Intelligent Suspension System (IS3). 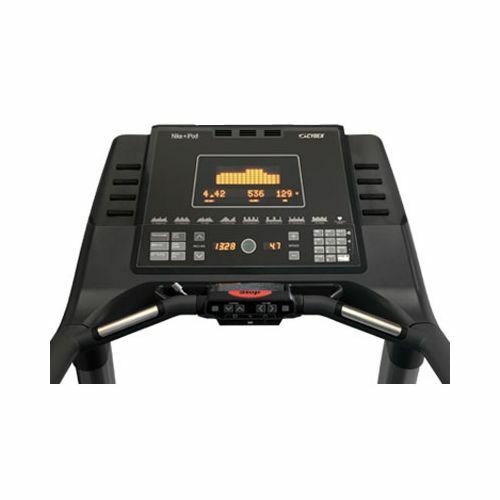 This pioneering system can only be found in Cybex machines and puts a distinguishing gap between Cybex and the competition. Other manufacturers soften the entire deck which causes a “trampoline” effect that can put you at more risk of injury. The 750T has a lot of details that make it the leader in the industry. The display is digital for easy training feedback and the 10-key keypad allows you to get on with your training fast. A hidden power cord exposes only the amount of cord necessary to reach the outlet and while this sort of feature may seem small on the surface, when you put it into a real environment it's precisely this sort of thing that makes the difference between a good treadmill and a truly great one. 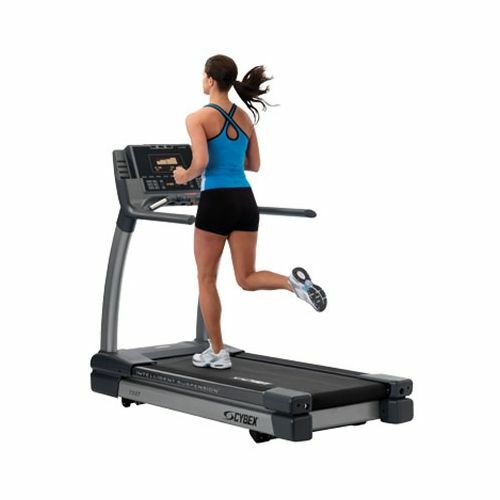 Split Level Display: The console is designed to match the way a treadmill is used. By separating the console into two parts, users can use what they want and when. Time, speed, and incline are constantly visible on the lower level with other information on the top. Self-Serve Deck: The lowest maintenance deck in the industry. The double sided deck can be rotated and flipped giving up to four surfaces to maximize deck life. 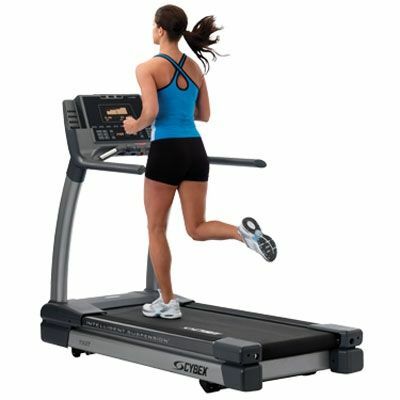 Cool Belt: Heat is the enemy of almost every mechanical device and a treadmill deck and belt are no exception. The 750T poly-cotton blend allows heat to escape, so the belt stays cooler and lasts longer. Heart Rate Monitoring: Heart rate can be monitored from both the contact grips and hands free from a wireless heart rate transmitter. See it at a glance with a multi-coloured LED that with a different colour for specific target pulse rate zones. Safety Sentry: Knows whether you are there or not and will stop the belt after the pre-selected waiting period helping to keep members secure. Display: 10x15 matrix display of workout profile. 16 character message bar. Dedicated time/incline and speed display. Numeric key pad. Programmes: 10 Standard programmes with 10 levels each. Plus 9 custom programmes & 5 fitness test programmes. Heart Rate Monitoring: Includes Contact and Wireless capability (chest strap not included). Multi-colour heart shaped LED provides colour coded feedback of heart rate. Convenience features: Split-level consoles, two water bottle sized holders, magazine rack and tabs and a utility tray. Dual speed personal fan. 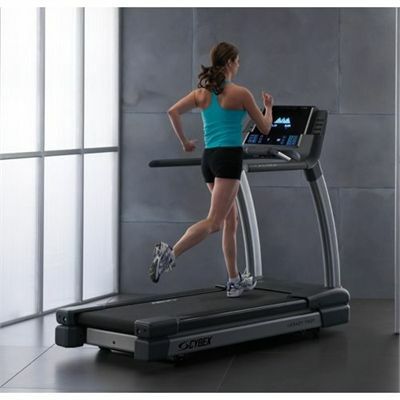 for submitting product review about Cybex 750T Treadmill.